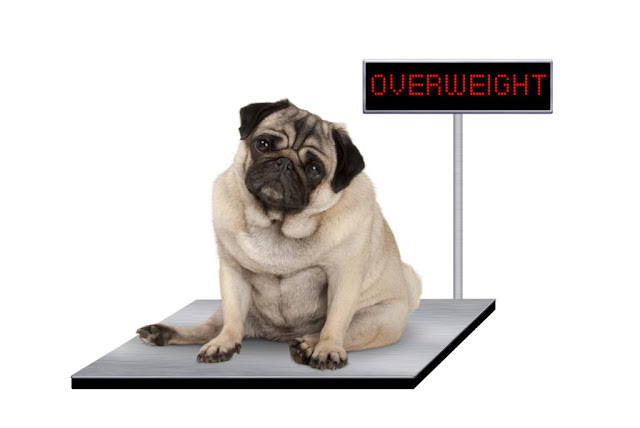 Like humans, excessive weight in dogs can lead to health problems like arthritis, diabetes, and heart disease. Studies prove that 25% of overweight dogs suffer from severe joint problems which eventually lead to decreased activity, further contributing to a long list of other health complications. Overweight dogs are found to have significantly shorter life expectancies than healthier dogs. It is therefore very essential to take control of a dog’s weight problem before it gets out of control. More than 40% of American dog owners have overweight dogs. That is a great number but fortunately, there are some basic and easy to follow steps you can take to bring down your Fido's weight in a healthy and easy manner. One of the main reasons for canine obesity is that dog owners feed their pet human food. It can be extremely difficult for us to resist the temptation to feed our dog leftovers to save it from going to waste, or for treating our dog with bits of human food. But in all honesty, we are seriously harming our dogs' health. While most people are aware that feeding a dog chocolate can be threatening to the animal's health, there are other foods people do not realize can be harmful to a dog. Here are just a few of the "human foods" which can cause severe harm and even death to your dog: onions, coffee, apple seeds, peach pits, cherry pits, and plum pits, as well as macadamia nuts. Even though you may have fed these items to your dog before without resulting harm, you should be aware that continuing to feed your dog these foods could result in a medical issue that grows over time into a serious illness, possibly even death. That being said, simply cutting out human food from your dog's diet may not solve your dog's weight issue, or if your dog's weight gain has stemmed from another source, such as leaving dog food out for him to eat as he pleases or not getting enough exercise. There's a little-known trick to helping your dog feel full so that he doesn't drive you crazy with whining from hunger! It's called the Green Bean Dog Diet. This diet involves mixing a portion of green beans with your dog's regular food. The green beans have lots of fiber and only a few calories, so they are a healthy way to keep your dog full between meals. If your dog is suffering from a lack of exercise, the obvious solution is to increase his outdoor activity. Although taking him out for a nice long walk is a great choice, it's not the only one. If you aren't able to walk, try getting a ball, Frisbee, or one of your dog's favorite toys, then grab a chair to sit in and play a good ole' game of fetch with him. On days when the weather is particularly nice, you could also take him for a dip in the lake. Swimming is an excellent exercise and will be a blast for your dog!